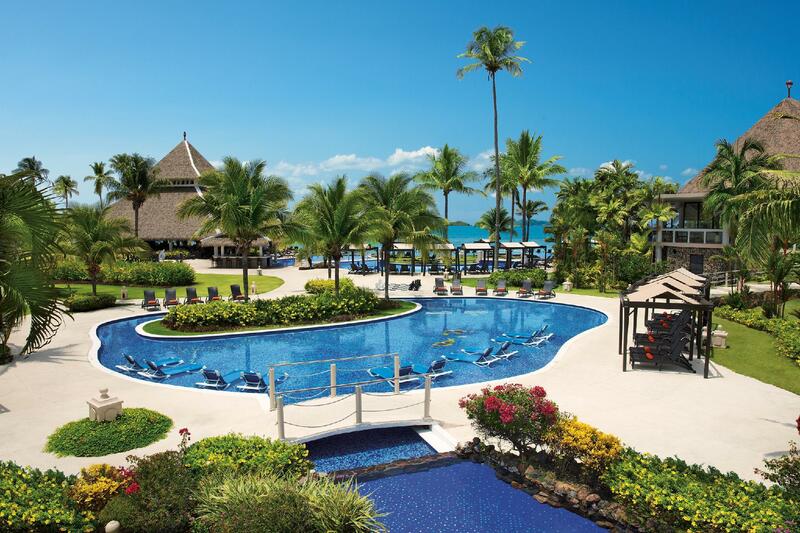 ﻿ Best Price on Dreams Playa Bonita Panama - All Inclusive in Playa Bonita + Reviews! Dreams Playa Bonita Resort & Spa offers its guests 5 outdoor pools, spa facilities with massage services and a fitness centre. Located in a private area in the closest beach to Panama City, only 17 km away. The fresh-decorated rooms and suites are air conditioned and offer ironing appliances, working desks and a coffee maker. Cable TV, a mini bar and a hairdryer are also in-room amenities. The bathroom is private and may come with a shower or a bath. The Plantation Restaurant is specialized in buffet services and the Pelican Grill, located sea side, has international dishes. For a more formal ambiance, the option is The Lighthouse, which serves typical Panamanian dishes. The Lobby Bar and Pool Bar offer the guests a variety of drinks. Located 20 minutes’ drive from Panama’s downtown, Dreams Playa Bonita Resort & Spa is close to many touristic attractions, like Panama’s Old Town. Unlimited-Luxury® applies to travel through April 30, 2017. Guests will enjoy Defined Delights™ for travel beginning May 1, 2017. These changes apply for currently called Deluxe Rooms. Defined Delights imply room service will be available for a surcharge and minibar will be restocked every two days.